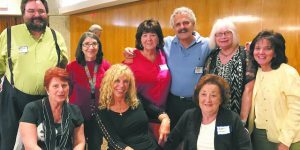 The committee that planned “Gathering of the Tribe” were, from left: Rosa Chessler, Eva Kraus, Dr. Charles Silow, Cindi Wagner, David Oliwek, Evelyn Freeman, Sandy Silver and Suzanne Sundheimer. 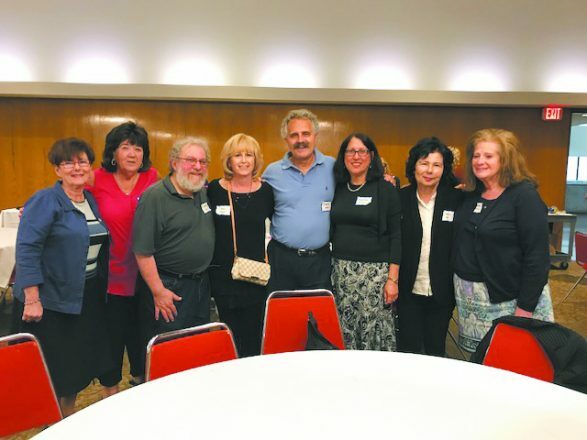 A committee led by CHAIM’s longtime president, Dr. Charles Silow, arranged the event held at the Holocaust Memorial Center and Adat Shalom Synagogue, both in Farmington Hills. A group of 48, including separate attendees from Boston and Minneapolis, attended on June 25. “It was a wonderful day of good speakers, camaraderie, music and food,” Silow said. The morning featured committee member Sandy Silver’s illustrated presentation about the family heritage trip she and her daughter, Shana Glickfield, took this year to Poland and Germany. After a buffet lunch, the 2Gs and one third-generation (3G) attendee discussed the always-relevant topic of “Who We Are, And Our Roles for the Future,” and later saw a British comedy film, Dough. A highlight of the afternoon was watching local Holocaust survivors attending committee member David Oliwek’s bar mitzvah party from 1963 at Congregation B’nai Moshe in Oak Park. Some in the audience happily recognized younger versions of their own parents, relatives and neighbors among the 350 invited guests — friends and family of David’s now-deceased parents who had survived the Shoah: Anna (Schlein) Oliwek from Radziwillow, Ukraine, and Steve Oliwek from Lodz, Poland. Video footage from the joyous affair includes the receiving line, seated guests and a typically sumptuous sweet table. A fun moment at the screening was the spontaneous outbreak of 2Gs singing “Hava Nagila” to accompany the crowd dancing the horah in the film. 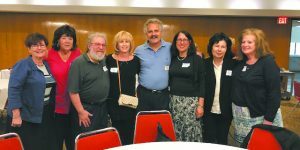 The evening program at Adat Shalom included a kosher buffet dinner, lively Yiddish-style music featuring keyboardist-singer Stephen Kukurugya and opportunities to dance and continue socializing. 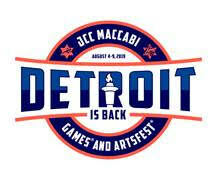 Members of CHAIM will be among those attending a conference in Israel for Holocaust survivors and their families. Registration remains open for the 29th Annual International Conference of Child Survivors, Second and Third Generations, Spouses & Families, scheduled for Nov. 5-8 at the Dan Hotel on Mount Scopus in Jerusalem. The conference will include opportunities to visit the Knesset, Israel’s legislative body, and Yad Vashem, the nation’s Holocaust memorial. The Jerusalem conference is sponsored by the World Federation of Jewish Child Survivors of the Holocaust and Descendants (WFJCSHD), an organization for Holocaust survivors and second- and third-generation descendants. 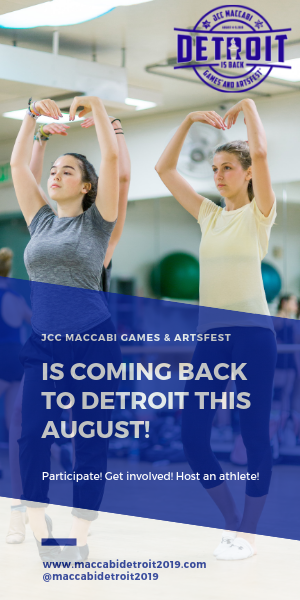 For registration information, visit www.holocaustchild.org or the conference coordinator, Susan Dubin, at susandubin48@gmail.com. Children of Holocaust survivors gathered June 25.